A number of provisions in MiFID II and MiFIR (which, from now refer to jointly as “MiFID II”), apply to non-EU firms (referred to in EU regulatory parlance as third country firms) in different ways, depending on a number of circumstances. Today we will talk about how the trading obligation in Art. 28 of MiFIR applies to transactions between an EU entity and a third country firm. third-country trading venue (e.g., a SEF) that the European Commission has declared to be equivalent. The trading obligation does not apply when the transactions are intra-group transactions, or when one of the parties is a pension fund temporarily exempted under Art. 89 of EMIR (there is a list of Art. 89 exempted parties published by ESMA, the European Securities and Markets Authority). (ii) applying the trading obligation is necessary or appropriate to prevent regulatory arbitrage. (b)(ii) is an anti-evasion provision, designed to avoid transactions structured for the specific purpose of evading the application of the trading obligation. 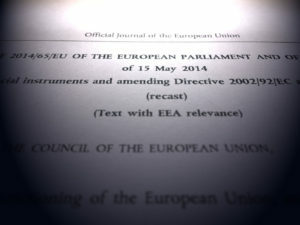 However, (b)(ii) is trickier to determine, as the definition of a contract having a direct, substantial and foreseeable effect in the EU can have a number of moving parts. c. the guarantor’s liability under the guarantee represents an exposure of at least 5% of its total current exposure to OTC derivatives. Increases to guaranteed amount: If a guaranteed amount initially below the threshold in II.a. is later increased, the guarantor must again carry out the checks in II.a., b. and c.
Increase in liability: If the guaranteed third-country entity increases its liability (see II.b. ), the guarantor must re-assess, on the same day of the increase, the checks in II.a., b. and c.
Decrease in guarantor’s current exposure: The guarantor must check on a monthly basis whether there is a decrease of its current exposure to OTC derivatives (I.c.). 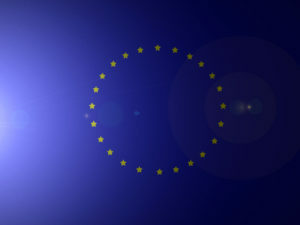 The checks required to continually assess whether a third-country firm transaction is subject to the trading obligation are complex and can be challenging, as they need continuing monitoring and real-time coordination between the guarantor (obliged to exercise control under MiFID II) and the guaranteed third-country firm. RegBot®’s MiFID II bot offers a complete MiFID II solution, taking care of regulatory requirements such as this – and much more. Contact us to discuss your requirements.